There are so many free call and messaging apps in the Philippines, but one of the most popular would be LINE. Aside from offering free voice and messaging internationally, LINE also integrates various social elements in its features such as stickers, Home & Timeline and numerous LINE family apps, including LINE GAME and LINE camera. I actually met two of the fun sticker characters last Wednesday, say hello to Cony and Brown (and Jessy and Matteo)! They are so cute, I want to take them home! LINE partners with different brands to provide additional perks to its users, aside from keeping the relationship strong among family and friends. 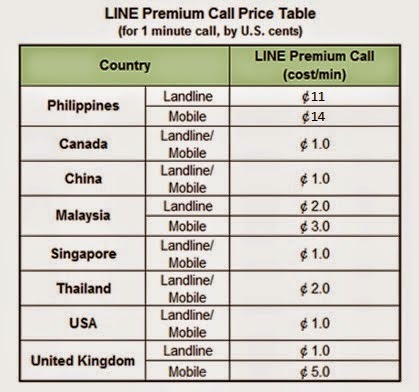 For those who have relatives abroad with no LINE account, one can now call them with lowest rates via LINE Premium Calls. Click Read More to know more about LINE Premium Calls and other rewards.. The LINE connection is made even better with better call quality. There is a huge leap of 5.6 times and the clarity of the voice improved by 120% from 2012 to 2014. During the event, they let us see how the voice quality is tested. Aside from LINE Premium Calls, new addition to LINE features include, LINE selfie stickers where you can take a picture and make it a sticker, Hidden Chat and more rewards by partnership with Zap. Zap Tag is a rewards and loyalty program that gives shoppers discount and instant rebates from partner shops. If you have seen the sticker attached at the back of my phone, that's my Zap Tag sticker! You can read more about Zap here. A LINE event is not complete without the presence of the two LINE ambassadors - Jessy Mendiola and Matteo Guidecelli who shared that they use line wherever they are in the world to connect with friends and families. FREE LINE PREMIUM CALL CREDITS! Here's a treat, LINE is giving away 300 LINE Premium Call credits to diners of 23 Munchpunch affiliated restaurants in 100 branches from August 14 to September 13, 2014. Call credits will also be given out to shoppers of Lazada from August 14 to September 23, 2014.
and https://www.zap.com.ph for more rewards!